Hi, I recently used Chris for the joinery work in a new cafe project. Chris altered the doorways, erected new stud walls and fitted counter tops in the servery area. This area was particularly tricky but Chris worked hard to design and implement a solution. 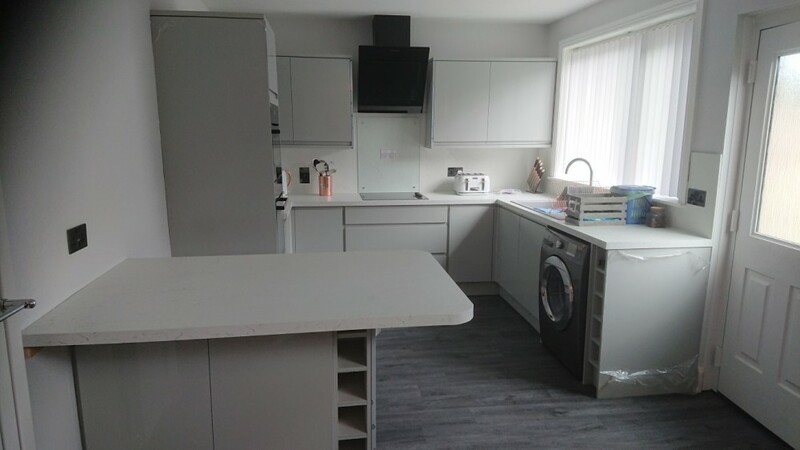 All the work was executed to a high standard and i have no hesitation in recommending Chris to others looking for a skilled joiner. Chris has done a fantastic job of fitting my new kitchen. From start to finish he was professional, punctual, and tidy. He worked long hours including the weekend when extra plastering left us behind schedule. If we need any more joinery work done we will definitely be in touch with him again, highly recommend. 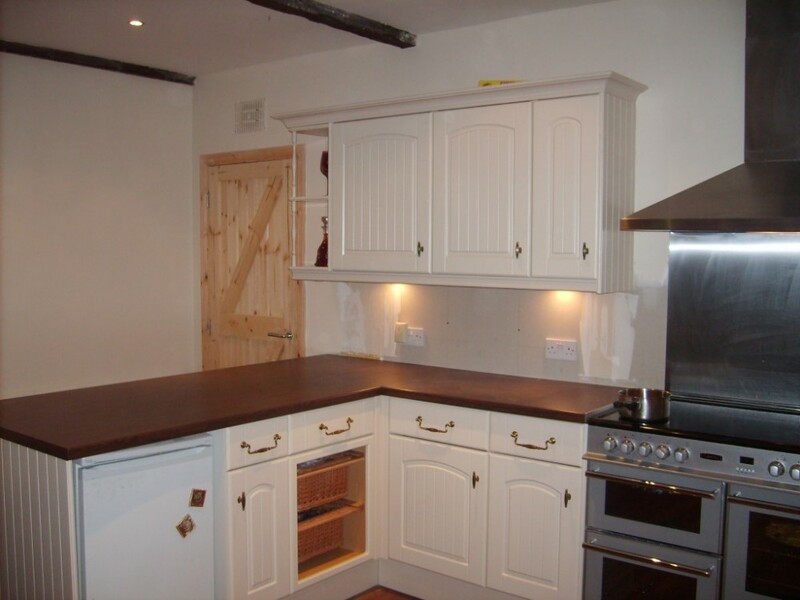 Chris is a fantastic tradesmen, did an absolutely fantastic job on my kitchen. I would highly recommend his work ethic and his tradesman ship. Nothing is to much trouble and goes out of his way to make that dream kitchen or anything else that requires a great tradesman! I have since had Chris carry out a number of other jobs and again all done to a very high standard. We modernised our bathroom recently. Some of the work needed to be done urgently and at short notice. Chris was very busy at the time but managed to do the essential work between his other jobs and did us a real favour. The work was to a very high standard. We also went along with one of his suggestions to aqua panel the side of the bath using what was left over from the walls. 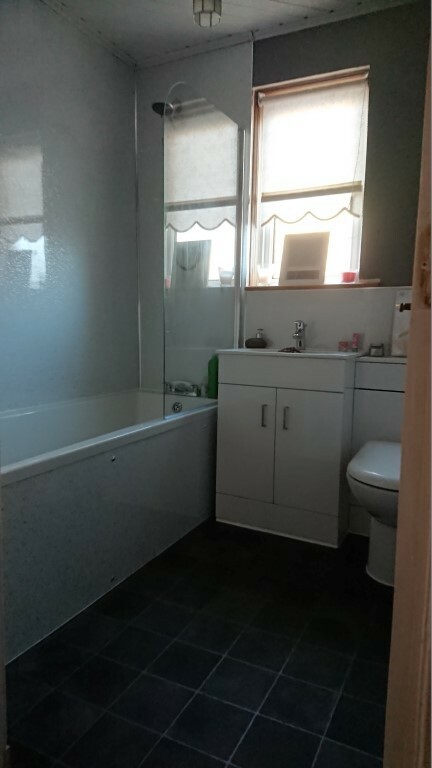 Everyone who has seen the finished job has commented on the high standard and also how good the bath looks with the aqua panels. The next job now is our kitchen and we will definitely be using him for that.